Kid favorite 3-D modeling compound. Won't dry out before it's used up. 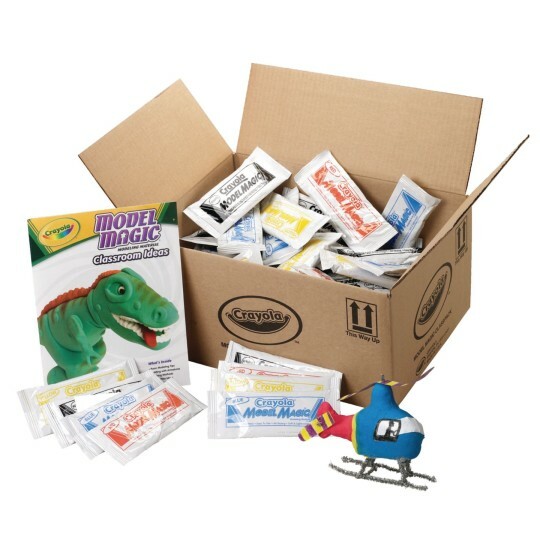 This exciting non-toxic modeling compound makes creating 3-D projects and sculptures easier and more enjoyable. Lightweight, soft and clean, Model Magic® is easily molded into any form and can be air-dried. Paints easily, is nonstaining and won't stick to skin or carpets. Assorted (21 White 1-oz. packs, 18 each Red, Yellow and Blue 1-oz. packs). Convenient size allows exact amount to be used with less waste. Includes FREE lesson plan.